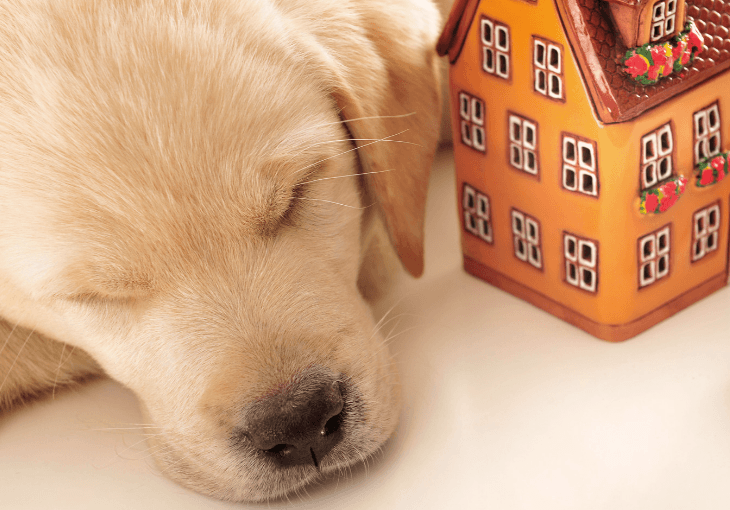 Whether you are getting a new pup, or are moving into a new apartment with one, you will need to take appropriate steps to pup-proof your home. If you want to be a great pet parent, you will need to make sure you leave no stone unturned, especially considering how pups can be quite curious and anxious to get its nose into everything. Of course, this can be a daunting task, but it does not have to be an impossible one. If you are not sure where to begin, then here are 5 easy tips to take into consideration. When it comes to medicines for yourself or your pet, keep them in a safe place. Most people are guilty of leaving their medication lying around, mostly in places where they are easy to access. If you have this habit, you have to get rid of it for good. You simply cannot afford to be careless. And if you don’t fix this habit, your dog may get into your harmful medicines before you do. If you know for a fact your dog is a chewer, then it is highly unlikely the plastic container for your medication will see the light of day. Keep these containers in a safe place too. Consider storing all your medications in a drawer or high cabinet in your kitchen or bathroom and make sure the drawer and cabinet remain closed at all times. Pups and cords don’t go together. So make sure you deal with those chewy cords right away. Electrical cords are no less than treats for pups. Whether it is a power cord or your earbuds, chances are your pup is drooling over them. Unfortunately, you can’t get rid of all the cords at your home, but what you can do is to keep them protected and hidden. Get cord concealers and spiral cable wrap to deal with cords of any kind. But remember, your job does not stop here. You still need to keep an eye on your pup since they are quite smart after all. When you have a dog, you have to decide whether it is allowed on the furniture. Not all pet parents are the same, so if you are not comfortable with your dog being on your furniture, then you should get a couch for him. Cleaning up after your dog, and taking care of your furniture is not easy, so there is nothing wrong with keeping a separate couch for your dog. Don’t feel guilty about it. But if you do decide to allow them on your furniture, then you need to get dog-proof couch covers. This way your pup can rest, relax and sit wherever it wants, without you having to worry about your furniture. As a pet parent, you can never be too careful. If you had problems with cleanliness before, you will have to buck up now. You will need to be cleaner than ever before, which means you can’t leave a mess. You can no longer leave bobby pins or earrings around. Puppies can get anywhere they want, so you will need to think ten steps ahead. Small objects need to be put back in their place, so stay vigilant and pick up after yourself. The last thing you need is to take your dog to the vet to have x-rays done to find out its belly is full of small objects like Q-Tips, bobby pins, and other similar objects. There is something about trash that dogs simply can’t ignore. Perhaps it is the smell that gets them excited, but one thing is for certain. Do not keep trash out in the open. Bathroom trash is the most dangerous out of them all, followed by kitchen trash. Razors in bathroom trash and toxic foods in the kitchen trash can harm your dog; so avoid taking any risks with them. Either keep trash in a place where your pet can’t reach or get rid of it as soon as possible. Dogs are curious by nature, but that does not mean you let them do as they please. Set limits and train them to know what they should and should not do. Give your pup a space of their own if you will keep them out of everything else at home. This ‘safe place’ should be their retreat when you are not at home. Do your homework regarding the houseplants you own. This is especially important if your apartment move-in checklist features indoor plants. Some houseplants are poisonous, and can even result in death if your pup nibbles on them. It is highly likely that your gym bag, purse, diaper bag or backpack could contain items that could pose a threat to your pup. Store all your bags in a closet. The list can go and on, but you may have noticed a trend here – you will have to cover all aspects to protect your pup. Just like children, pups also require training and guidance. But even then, you need to look out for them. No matter how well behaved they are, there is always a chance their curiosity will get the better of them. Even though having a companion at home can be great, you need to be responsible for its well-being. 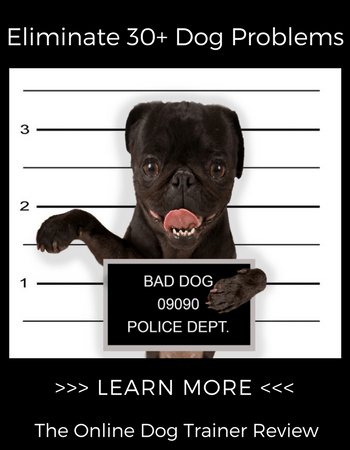 If you feel as though you can do better, do your homework online to see what other steps you can take to protect your pup. If need be, ask fellow pet owners to guide you as well. The better prepared you are, the lesser the chances of you having problems with your pup. About the Author: Jenny Harrison is a passionate home and lifestyle blogger. She loves to engage with readers who are seeking home and lifestyle-related information on the internet. She is a featured blogger at various high authority blogs and magazines in which she shared her research and experience with the vast online community. Currently, she is associated with NY moving company ‘All Around Moving Services Company Inc.’ Specializes in arranging and assembling services of professional and skilled local movers locally in New York City as well as areas in New Jersey, Connecticut and the Miami Dale area in South Florida. Follow her on twitter @MJennyHarrison for more updates.